CHICAGO, June 30, 2014 /PRNewswire/ – More employers are turning to social networking sites to find additional information on potential candidates – and they’re not entirely impressed with what they’re seeing. A new survey from CareerBuilder found that 51 percent of employers who research job candidates on social media said they’ve found content that caused them to not hire the candidate, up from 43 percent last year and 34 percent in 2012. 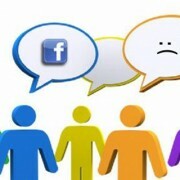 Employers aren’t limiting themselves to social networks when it comes to researching candidates’ web presences. Forty-five percent of employers use search engines such as Google to research potential job candidates, with 20 percent saying they do so frequently or always. Additionally, 12 percent of employers say they’ve reviewed a potential job candidate’s posts or comments on Glassdoor.com, Yelp.com or other ratings sites.